Store it, Grab it, Go! I needed to earn some extra cash to pay my bills. I had asked my friend if I could perhaps build a gun cabinet so he could display and sell it in his gun shop. My friend suggested I could use my woodworking skills to build a gun rack for a gun safe. Gun safes typically only have a series of shelves on the inside to store handguns. Due to the lack of practical storage in a gun safe, the market has only a few items that are used to solve the lack of storage in a gun safe. Typical gun racks are not very efficient to store handguns and at the same time allow for easy transport of your handguns. Typical solutions for handgun storage do not efficiently maximize the space inside your gun safe to store your handguns. So after trial and error, several prototypes, and a wee bit of frustration I came up with the Hold Ur Fire™ storage & transport solution. 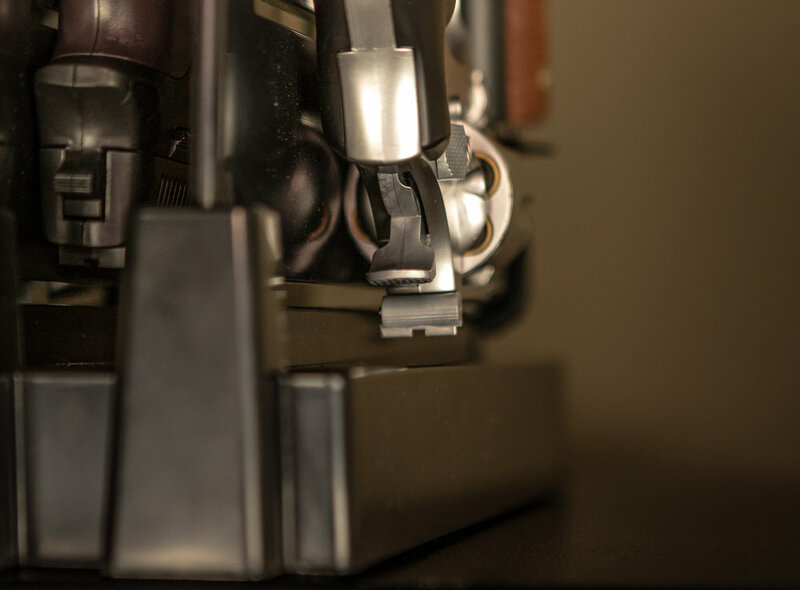 It allows efficient storage of many handguns in a small space. also allows the easy, fast transport of your handguns. No more fussing with soft or hard gun cases. No more fussing with wire, foam or other gun racks. No more having to take one gun rack out of your safe in order to reach the one behind it! 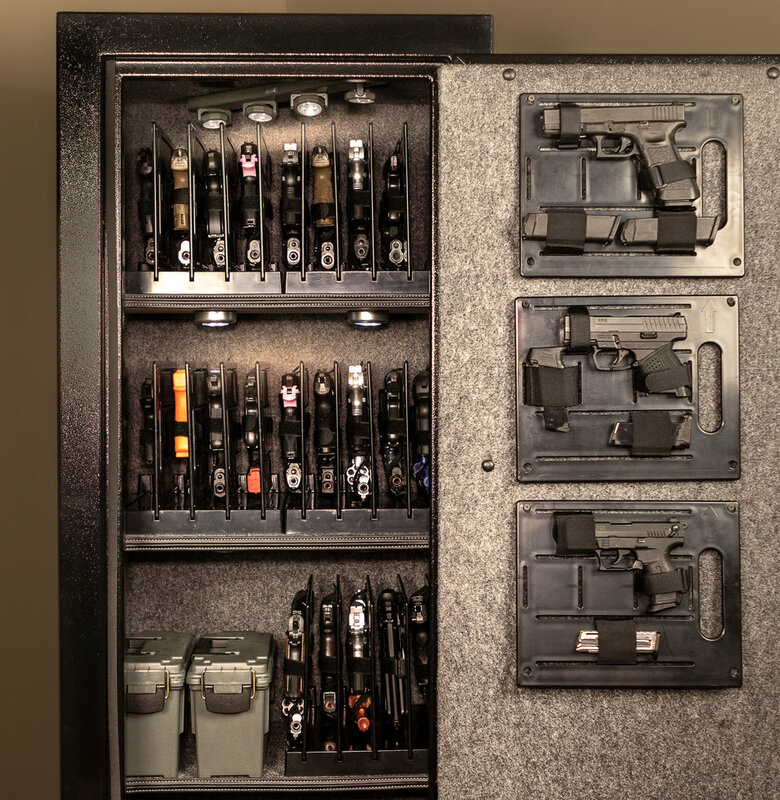 Now you can store up to 10 guns in 1 cubic foot of space on a shelf in your gun safe! And best of all, the handguns are easily accessible, easy to inventory, and very easy to just grab and go!